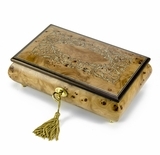 A wooden music box can be a classic household decoration or a treasured gift. 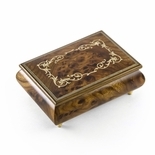 Music boxes have been appreciated since the late 18th century. 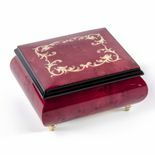 In fact, more people owned music boxes than any other type of automated instrument in the 1800s. 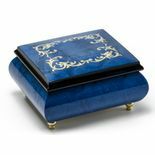 After the invention of the record player in the late 19th century, music boxes lost some of their popularity. 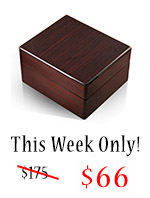 However, they are now making a huge comeback! 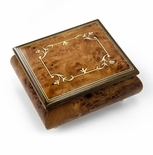 The newfound interest in wooden music boxes is primarily related to their historic appeal. 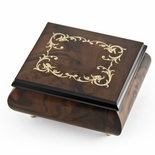 The antique design of music boxes makes them a great keepsake or collector's item for all ages. 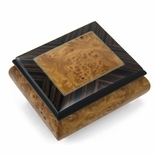 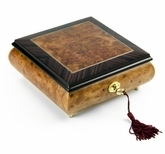 Here at Music Box Attic, we carry wooden music box designs that are appropriate for children and adults alike. 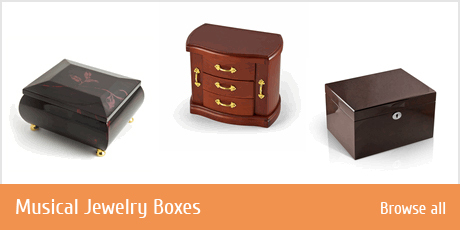 Our children's styles incorporate colorful characters or twirling ballerina figurines, while our adult styles feature beautiful wood finishes or artistic inlaid designs. 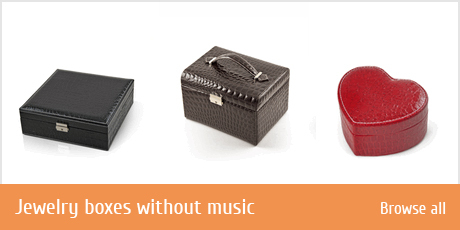 The first music boxes were limited in song selection because they utilized a cylinder design. 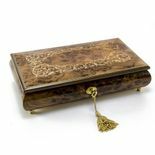 The cylinder revolved to pluck steel teeth of various lengths, therefore producing a distinguishable melody. 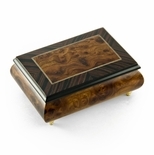 With the development of the disc style music boxes in the late 1800s, song selection was no longer limited. 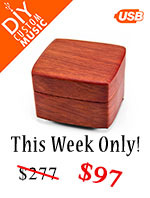 Disc style music boxes could play for much longer and some featured interchangeable discs so that many different songs could be played. 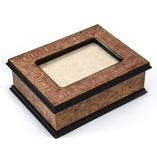 Here at Music Box Attic, we carry over 1,000 different styles of both cylinder and disc style wooden music boxes. 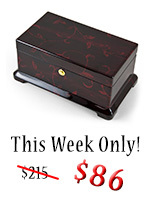 We offer an unsurpassed list of song selections for our music boxes as well. 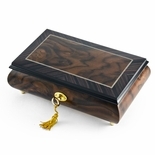 In addition to carrying countless high-quality music boxes, you will also be pleased to know that we always pride ourselves on excellent customer service.